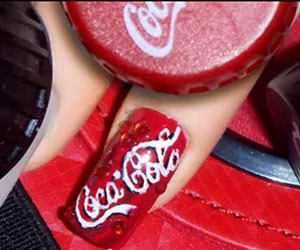 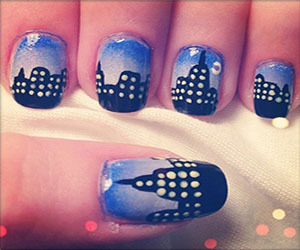 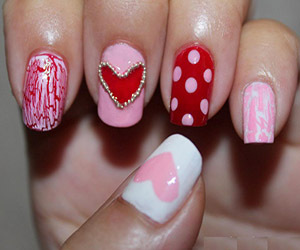 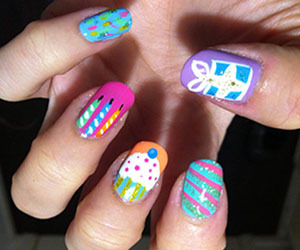 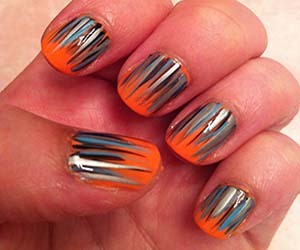 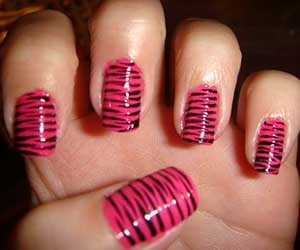 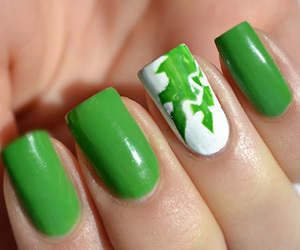 Here comes an entirely new idea of painting your nails. 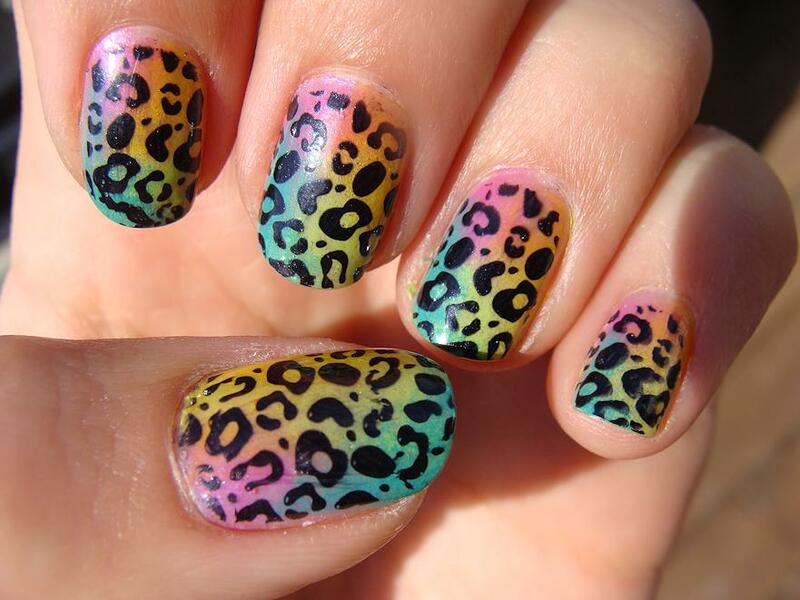 A black leopard print on shades on combinational base color of blue, pink and yellow. 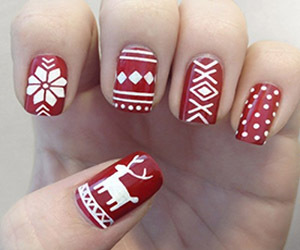 The design looks pretty, good to be tried and change the feel of your nails.